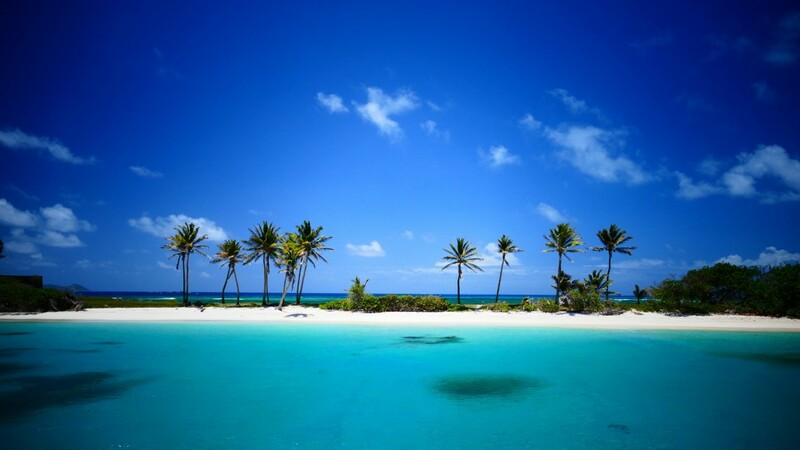 There are 32 islands and cays that make up St. Vincent and the Grenadines (SVG). 9 of these islands are inhabited, including the mainland St. Vincent along with the Grenadines islands: Young Island, Bequia, Mustique, Canouan, Union Island, Mayreau, Petit St Vincent and Palm Island. 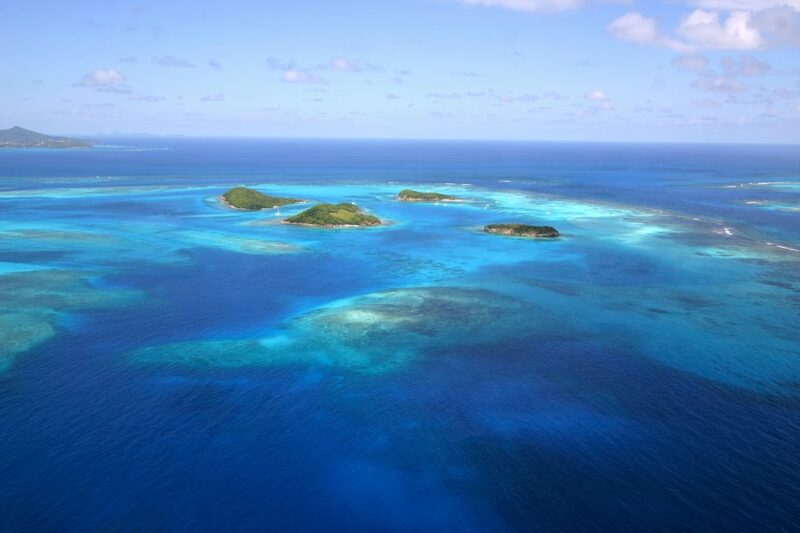 The stunning Tobago Cays Marine Park is also located in the Grenadines. 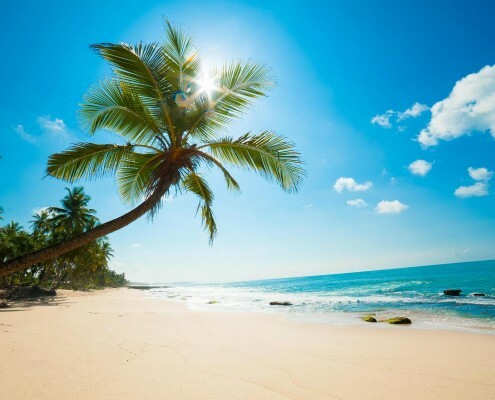 Offering the classic Caribbean white sand beaches, coconut palm trees and deliciously warm weather all year round and the perfect trade winds, it’s no wonder it is becoming a true hot spot for sailors and adventurers alike. St Vincent lies about 80 miles west of Barbados and about 25 miles south of St Lucia. 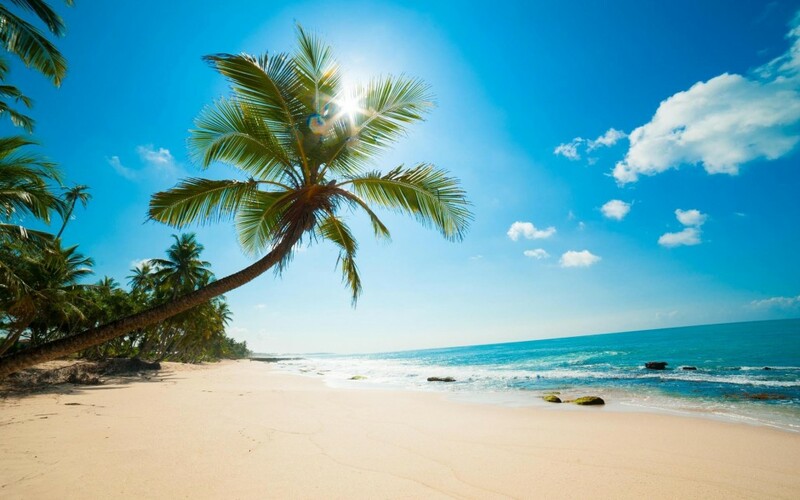 It’s at the lower end of the Windward Islands of the Lesser Antilles, roughly halfway between Antigua and Venezuela. The island has spectacular mountain scenery, with dramatic gorges and precipices, and thick, lush rain forest. Originally, the island was inhabited by Carib Indians who called it “Hairoun” – “Home of the Blessed”. The Northern end of the island is dominated by Soufriere, a 3,000 foot active volcano which last erupted on Friday 13th April 1979. It was the third eruption of this century but the residents were evacuated in time and there were no casualties. St Vincent is a most beautiful island, unspoiled and with almost theatrical scenery. The Botanical Gardens are the oldest in the Western hemisphere and it was here that Captain Bligh brought the breadfruit after the mutiny on the Bounty incident. A direct descendant of the original tree is on display throughout the island. Save $ and hassle. 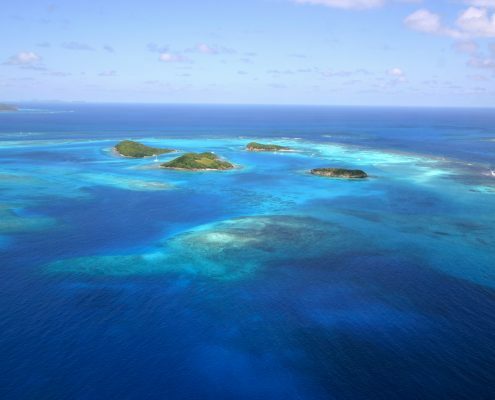 We’re right on the doorstep of the Grenadines. 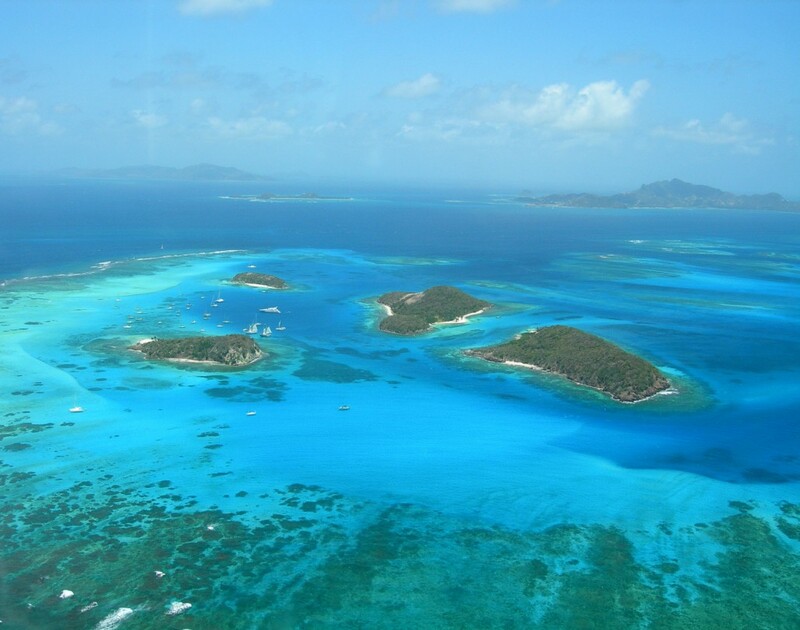 Choosing to start your charter from St Vincent means your first leg to beautiful Bequia is only 9 miles away. You will have gorgeous line of sight sailing for the majority of your sailing vacation. Flying into St Vincent may save you considerable additional expense and hassle. Starting from St Lucia to the north means that you’re going to have to start your charter with a 68-mile sail, including a 5-hour open-ocean passage, in order to reach the Grenadines. Similarly, starting from Grenada will entail a 6 or 7 hour sail, including a 3 hour open-ocean passage – and usually hard on the wind – in order to reach Carriacou, first of the Grenadines north of Grenada. It’s really not a great way to start a charter, particularly if you have inexperienced guests in your party. No customs or immigration. Starting from Grenada or St Lucia also means that you are going to have to go through Customs and Immigration clearance procedures when entering or leaving St Vincent & The Grenadines. These procedures can be expensive and time-consuming and will also force you to stop at a specific Port of Entry when entering or leaving the St Vincent Grenadines. Save valuable vacation time. 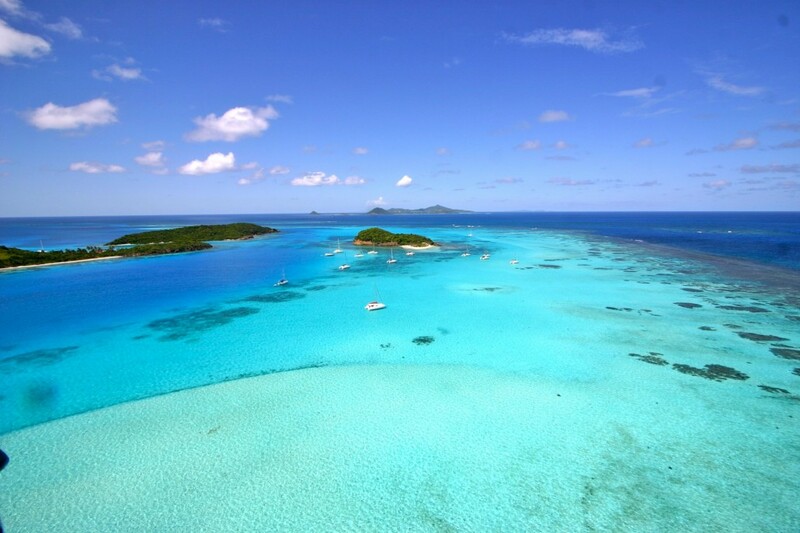 Starting from St Vincent puts you right on the doorstep of the Grenadines. Bequia is only an hour’s sail over the channel. You’ve worked hard for your vacation, and every day counts. 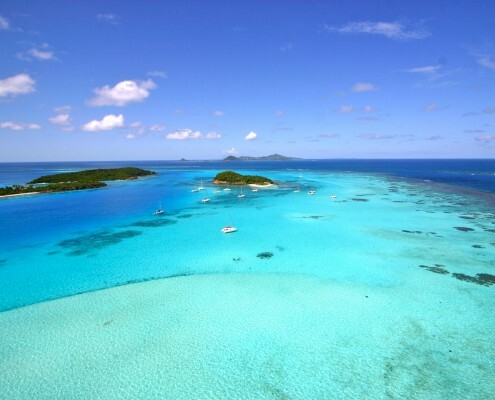 There are no Customs and Immigration clearance requirements when sailing within St Vincent & The Grenadines, no clearance fees to pay, and no forms to fill out and e-mail. We want you to experience the very best of this area and are happy to work with you to create the very best sailing vacation. Have questions about what is right for you? Simply call our office or complete a contact form on this page and we will happily help you move in the direction you would like to go. Is This a Booking Enquiry? Preferred Length of Your Yacht?